You must make reservations at least 5 minutes in advance of the time at Del Frisco's Grille - Cherry Creek. Parking Validation until 4:00 pm. Complimentary Valet available after 4:00 pm. Del Frisco’s Grille is a stylish, modern restaurant with a vibrant ambiance where life is celebrated around the table. Boasting premium American classics infused with fresh, seasonal ingredients, the Grille’s thoughtful menu features Del Frisco’s Prime, hand-cut steaks and craveable, shareable dishes such as the signature Cheesesteak Eggrolls. With an award-winning yet accessible wine list and hand-crafted cocktails, Del Frisco’s Grille takes guests through a social culinary journey with each experience, no matter the occasion. Our patio provides al fresco dining at one of the best restaurants in Cherry Creek. *Reservations are accepted for indoor dining only. Patio seating is available on a first-come, first-served basis. Celebrate Easter with our Sunday Best––join us starting at 10:00 a.m. for brunch favorites like Braised Short Rib Hash, Red Velvet Belgian Waffles, or our Easter Sunday exclusive, Filet Benedict––or you can choose from our curated dinner menu all day. Reservations are available now. Erik was a great server!!! They have a ceiling compressor in need of repair that is very loud. Manager seemed not to be authenticity concerned even though his staff had said it has been needing repair for a long time. While he offered to move us, it would not have matted much. Disappointed in atmosphere for $100 meal. Although all our food was amazing and our server was very attentive but not too attentive, My favorite thing of the night was the signature cocktail. I wish I could remember the name of it but it had pineapple infused Clementine vodka. It was fabulous! This was our second time dining there. Both times their wine by the glass was way too warm. I cannot understand how a nice restaurant with a great wine selection would not keep their opened bottles in a small wine cooler. I have one at home and it only costs me $199. Would make a world of difference. The salad with sliced steak was really rare instead of medium rare. And could it be they do not have olive oil and balsamic vinegar???? Crazy. First visit and it was excellent. I would highly recommend. Our 4th visit and this will be our last! On previous occasions, entrees were slightly above average. (Appetizers have always been excellent). On our visit on 4/13/19, all 3 entrees were subpar. Quality of the food did not merit a $250 dinner for our party of 3. Too many options in the crowded Cherry Creek restaurant scene. We would have fared better at Cherry Creek Grill, Elway’s or Hillstone. Will not be back to DFG in Cherry Creek. Excellent service. Great wine list. Salmon is prepared perfectly. Nice ambiance. You cannot go wrong here! Love DF Grille Cherry Creek! Always enjoy bringing my friends and family to this wonderful restaurant! Poor and slow service compounded by a waitress that didn’t care and a manager that didn’t notice. Apps not timed and csme at different times at our table of 5 and dinner took over an hour to be served. Too many options in Cherry Creek to experience below par evening. Overall, we had a great experience! Two members of the group had the soup. While they enjoyed it, they were both sick all night afterwards so I'm not sure if they just had sensitive stomachs or what happened. The rest of the group was totally fine and thoroughly enjoyed their meals. I would definitely go back but will shy away from the soup to be on the safe side. There were several large parties in at the same time which prolonged the time it took us to get our order. Other than that I have ZERO complaints. 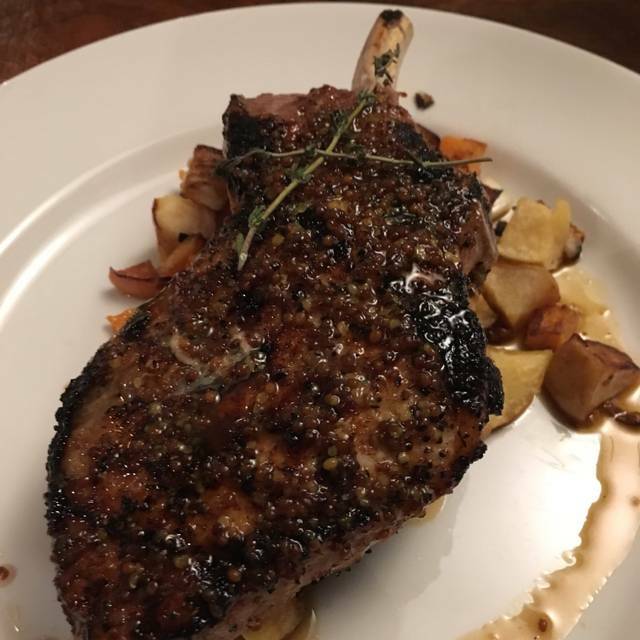 The food was fantastic and a wonderful value for the price in my opinion. Everything we ordered was delicious (and a ton of it). But the star was our waiter. I wish that I could remember his name! He was just terrific. Made the experience wonderful. He truly enjoyed his job...and, in fact , said so. 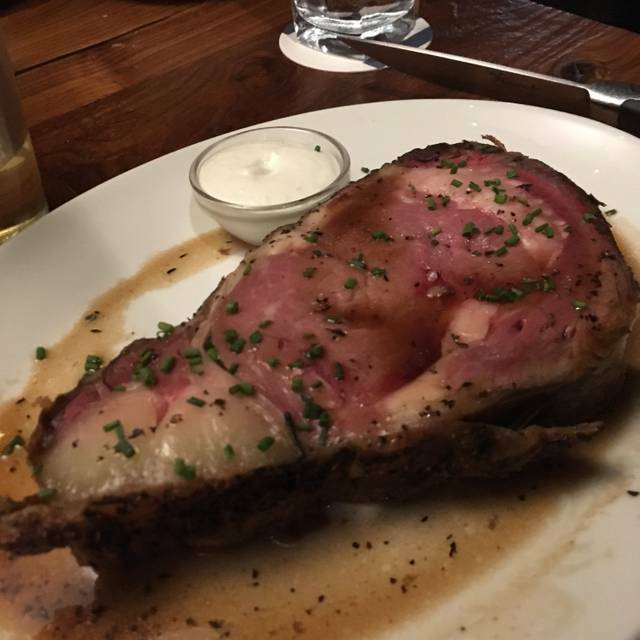 Well, when you go to a steakhouse and 2 out of the 4 steaks brought to the table needed to be cooked longer to reach temp, you begin to wonder... Aside from the above, everything else was great. This location, food and drinks was outstanding. We celebrated my husband’s 40th birthday with a group of friends. We had our own private area and the service was amazing! We will definitely return! Good experience. Noisy. Good food. Good service. Incredible serve and food. These guys “get it” when it come to serving people who are trying to get business done. Best place in Denver, period! Went for a nice light meal of appetizers and salad. I had a wonderful seared tuna salad and my husband a good soup and caprese salad. Just what we were looking for. We visit Del Frisco Grille a lot. It's a short walk there, the food is very good, ambiance is goo, service also good. We eat light there (i.e. salads, sandwiches, etc.) and all is consistently really good. Happy hour is great when we can make it. In all, it is really a go to for us and it does not disappoint. Wonderful thank you for making me feel so special! Excellent food, great hospitality, stellar service - a delightful evening out. I thought the tuna was awful. It was like flan. No substance! Great server! Great food! Cocktails... not as great as they should be. But I didn't care much. The food, room and server made up for that. Wine was good. Wish more choices from Italy... but other than that, a wonderful time!!!! Great food an atmosphere. Nice diverse menu of seafood and meat. 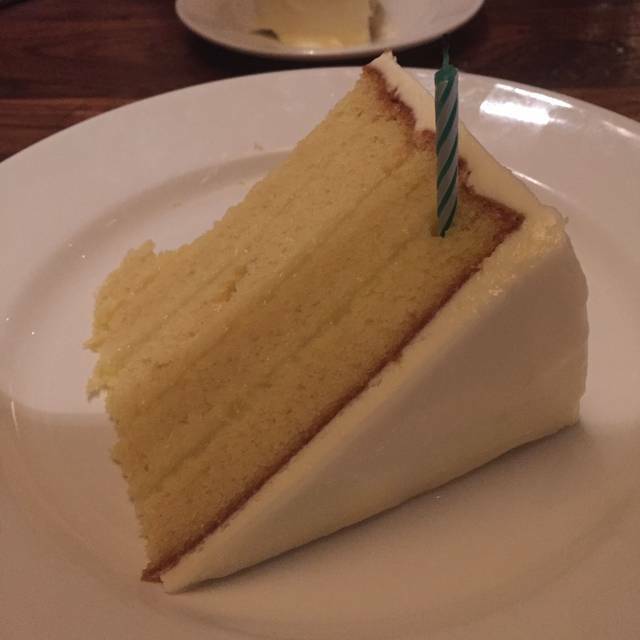 Lemon cake for dessert is to die for! Del Frisco’s was fabulous! We shared the artichoke beignets, wedge salad with avocado ranch, broccoli with tahini, filet mignon, chocolate peanut butter mousse cake, and the salted caramel custard. EVERYTHING was on point! They also have a wonderful wine selection. To top it off our server Lauren B was so great! The manager Lyndsey was also such a sweetheart. We cannot wait to visit again!! Deviled eggs and filet mignon was over seasoned and salty. Waiter was very personable and awesome! A little loud however nice ambience for group gathering but I would not recommend for a date night. Service was great. We had reservations at 7:15 on Saturday nite and were promptly seated. Requested bread with our meal and were told that they had run out of bread which I thought was strange. Steak was good, ordered medium rare and internally was cooked properly, however the outer portion was overcooked (charred) just slightly. I would go back, just not the outstanding combination of food and service that I would have expected from Del Frisco. We were seated in the far dining room where people kept exiting for the valet. I realize it saves the customer a few minutes of cold, but it constantly chills the patrons who are still trying enjoy their dining experience. 5280 Restaurant Week was a success at Del Frisco Grill! Would have never tried artichoke beignets but they were delicious as were our 6 oz filets. Service staff seemed stretched a bit thin and my steak was delivered to the table but it took another 10 minutes to get anyone's attention that I needed a steak knife.....by then the $45 entrée was lukewarm. So there's that. The manager made it right by removing from our final bill. Otherwise the build out is beautiful, terrific wine list, varied menu and really happening place to be in CC on a Friday evening. We would return! 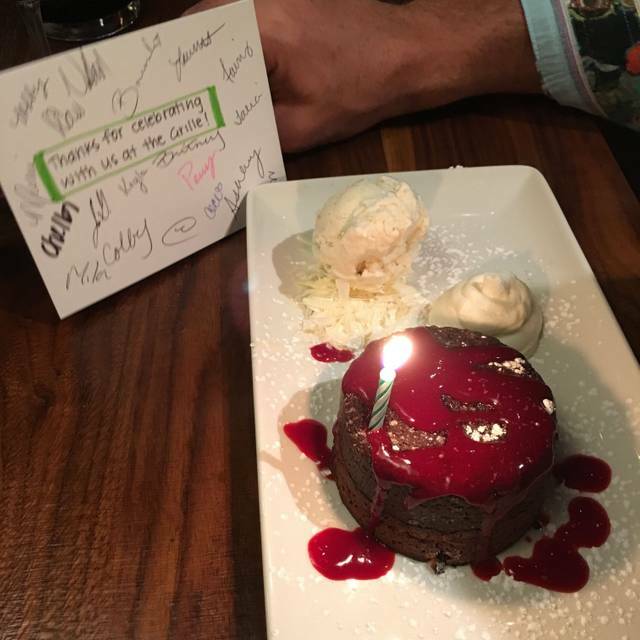 We really enjoyed our dinner at Cherry Creek Grill but there were some standouts and some aspects that fell short of our expectations. Let me preface this review by saying, it was a Friday night during Restaurant Week. 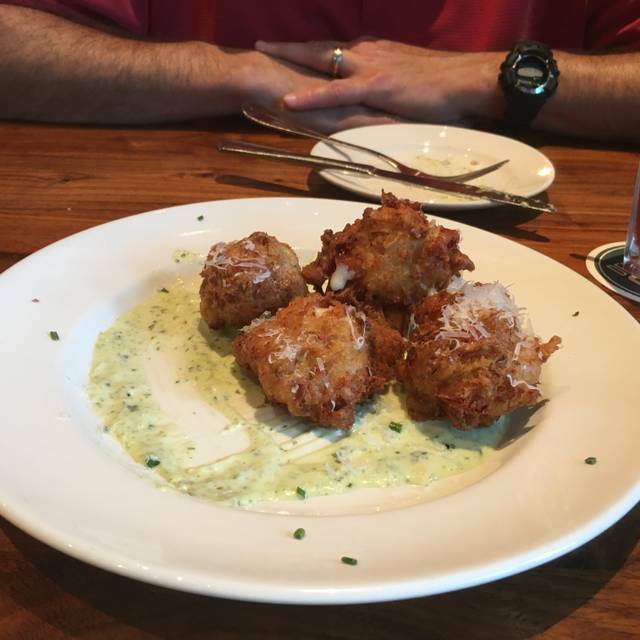 Food: I did the Restaurant Week menu and LOVED the artichoke beignets, they are outstanding. Others at my table had the wedge salad and the deviled eggs and all said good things. Me and another guest had the 6 oz steaks and this is where most of Cherry Creek Grills points were lost. We both ordered medium and they both came out well done. I realize 6 oz steaks are hard to cook accurately due to their size, but if your not able to keep the cooking consistent, you probably shouldn't offer it. They did take them back and bring us new steaks, which this time were too raw for me to eat. Other guests at my table had the chicken, salmon and steak burger and all seemed to be happy with their choices, however the truffle fries were bland. We had three different desserts all from the Restaurant Week menu and all were very scrumptious. Drinks: Great wine selection. We had two bottles of red wine suggested by the Soml, both were good! And we shared a bottle of rose champagne which was a standout for me! So delicious! Two guests enjoyed "Cherry Creek Grille Coffees" and were very happy as well. I would consider it again, just avoiding the baby steaks. Attended during restaurant week. The Filet Mignon was excellent. The dessert was also delectable. The server was very attentive and friendly. The server was knowledgeable about the wines, and made a very good recommendation. Ambiance was a little lacking, but that was a minor negative. A friend and I popped in for restaurant week. The service from the hostess, to our server, Brenda, to the sommelier Jingus (so sorry I don’t know the proper spelling) were great. My favorite was the salmon. Thank you and I’ll be back. OMG that was yummy! The food and service were great. We love the steak salad. Excellent service and food. I highly recommend the artichoke beignets and peanut butter pie! What a lovely place. Casual, yet sophisticated. Steaks safe great, well-seasoned, and cooked they way you want.